If you want to play Paintball in Ilford Mayhem paintball is just off the north circular junction 5 of the M11 by car just under 20 minutes from the centre of Ilford. Another option if you are coming via public transport would be to come via the Central line to Theydon bois where we offer a free minibus pickup and drop back to the station. Mayhem is just the other side of Chigwell making it the close paintball venue in the UK Ilford. Not only is Mayhem Paintballing the closest it boards impressive facilities such as 16 different themed maps; From our legendary Urban field with Cars, Barns, busses which is unlike anything you will have ever played to our Tank convoy field with real tanks, planes, A.P.C's, if you want to have a look at the rest of our playing fields have a look on our scenarios page. 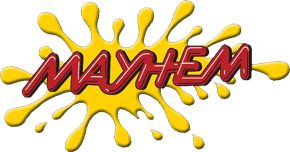 For a fantastic day out, Mayhem is great value i would recommend looking at our packages deals which include entry fee and a set number of paintballs, they work out a lot cheaper as your get a better deal for pre paying.